Highlights from the second round of the Nedbank Golf Challenge hosted by Gary Player in Sun City. 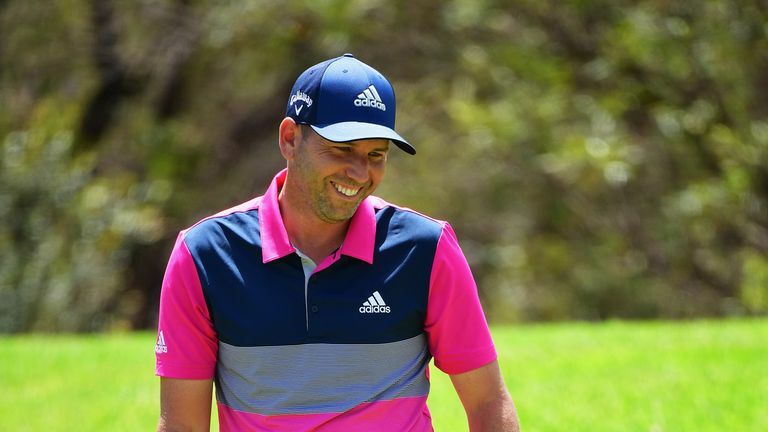 Sergio Garcia held on to his lead at the Nedbank Golf Challenge hosted by Gary Player, as Louis Oosthuizen impressed on home soil. Garcia, chasing a second win in as many starts on the European Tour, followed up his opening-round 64 with a one-under 71 in Sun City to stay one ahead of nearest challenger Oosthuizen. Oosthuizen struck five birdies and an eagle on his way to a second-round 67, with Finland's Mikko Korhonen a further three shots back in third and four off the pace after a two-under 70. Beginning the day with a four-shot advantage, Garcia followed his bogey-free opening round by holing a 25-footer at the first and getting up-and-down to birdie the par-five next. Oosthuizen birdied three of his first four holes and Haotong Li made four in a five-hole stretch from the second to stay in touch with Garcia, who made a three-putt bogey at the fifth. The Spaniard responded by holing a 15-footer at the next and making another from a similar distance at the ninth to reach the turn three ahead, only for Ross Fisher to cut the gap to two after following a front-nine 31 with three birdies in four holes from the 11th. The South African also birdied the 15th to get briefly within two, only for Garcia to bounce back from another three-putt at the 13th to convert from close range at the next to get to 11 under. As Oosthuizen closed out a blemish-free back nine to set the clubhouse target, Garcia failed to get up and down to save par at the 16th and saw a four-foot putt at the last horseshoe out - a third three-putt of the round - to see his lead cut to one. English pair Lee Westwood and Aaron Rai share fourth spot alongside Dylan Frittelli and Shane Lowry, with Thomas Detry in the group a further stroke back after a round-of-the-day 66.